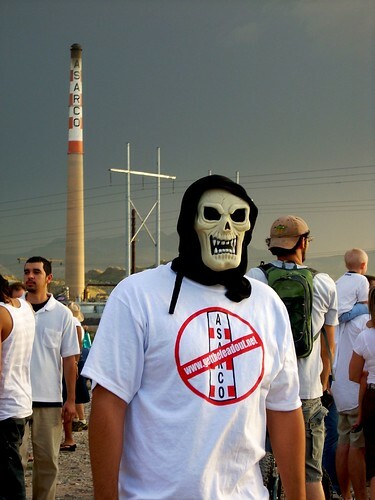 I cannot tell you how happy I was when I read the news that ASARCO will not reopen its El Paso plant. Yet, I am melancholy at the same time knowing its parent company will tear down the facility. No doubt the razing of the red and white tower will become a big media event. In fact it already has. Posing questions, wondering who is rejoicing, who is not. This whole situation signals a final erasure to come for the physicality and space that once held a tiny culture and community that stood beneath the stacks. It was called Smeltertown--a place where my mother's family lived that will soon disappear forever. My abuelo and several of his sons, my tios, and a couple of cousins worked for the company and it was because of ASARCO that the family immigrated from Aguas Calientes, Mx, the site of another ASARCO plant. Smeltertown was a "company town" and had a life embodied in the families. Well over 7,000 people were born, lived, and died within the tiny hamlet. Inside their home, my grandmother gave birth to 13 children of which 12 survived to adulthood. The burned twice and was rebuilt each time. Several years ago, a distant cousin wrote her dissertation about this community, which was once just as attached to the plant, as families and friends were to one another. 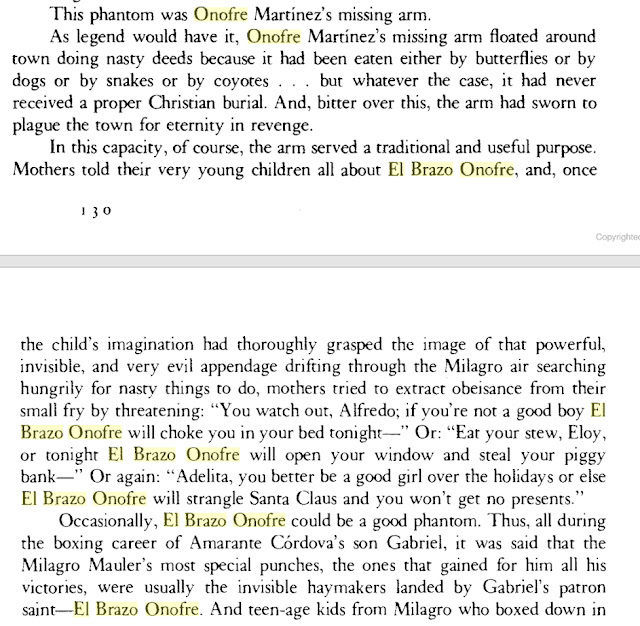 My parents were married at Cristo Rey, the Smeltertown's tiny Catholic Church, and in there, I crowned the statue of Mary for a May crowning when I was about six years old. I have stood inside the red, white striped tower while it was constructed, and my father took the elevator to the top when the last of the continuous pouring of cement was complete. Now all in this community with connections to this place can start a new chapter of in the history of this city, this land. Yet while the tower may disappear, the stories of the lives and events enacted there will remain embodied in the stories and the ancient photographs we share with the world. I think I am no longer attached, but I remember. scorched my summer tanned feet. to practice his birdies and eagles. burned my lungs when we played outside. la llorona coming for us. It is very sad to see a part of El Paso History being destroyed as the ASARCO smelter plant is in the demolition stages. Both of my Grandfathers worked at the smeler. My grandfather on my mothers side (Gabriel Teran),a worker, and my Grandfather on my dads side (Fred P. Dickinson) weighmaster for the railroad, as well as my father who was a chemist at the smleters in San Luis Potosi, and Chihuahua, Mexico plants. as well as the El Paso smelter for 47 years. I also worked during high school out of the safety department sanitizing respirators. robert7561@aol.com Please advise when the demolition is to begin, and who has the contract. Thankas. In fact my Grandfather and Grandmother on my mothers side were both buried in smeltertown. Merry Christmas & Happy Hanuka.